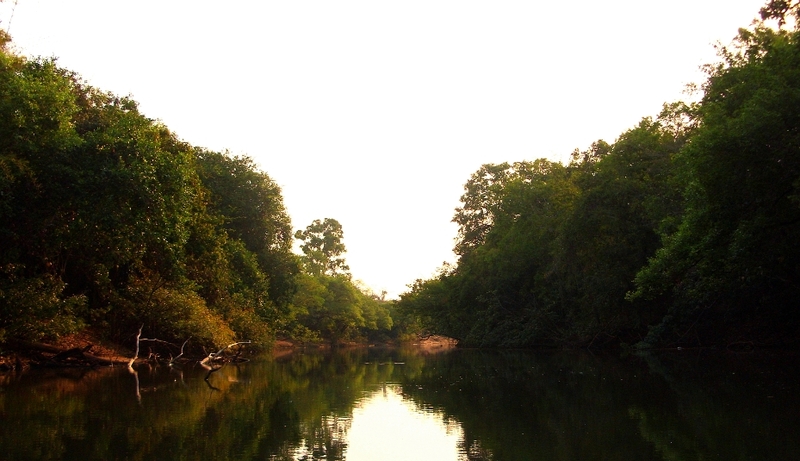 Habitat of the species in the rio João Aires basin, Tocantins state, Brazil. 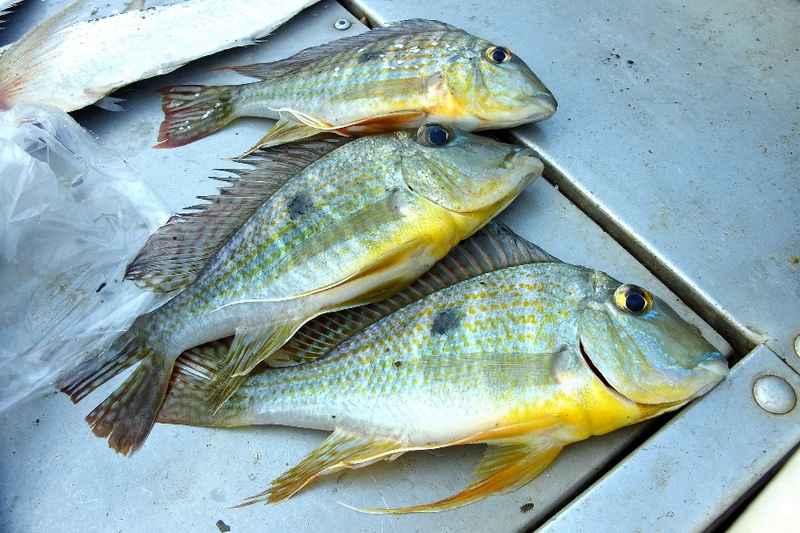 Freshly-collected specimen from the rio Maranhão. 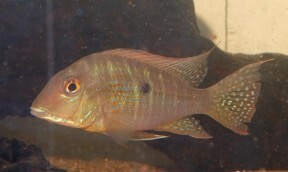 This species is often sold as G. sp. 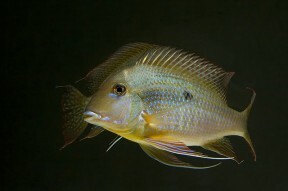 'Tocantins' or G. sp. 'Aereos'. 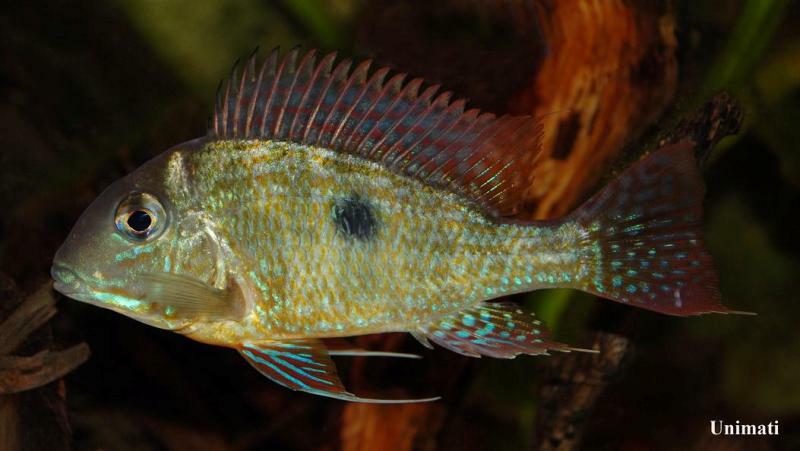 Caudal fin patterning consists of rows of iridescent blue spots which in some specimens merge together forming vertical bars. The diagnostic bifurcate body bars in the posterior portion of the body are clearly visible here. Freshly-collected specimens from the rio Maranhão. Young specimens collected close to Porto Franco, lower rio Tocantins basin, Maranhão state, Brazil. 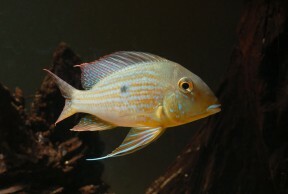 Young adult from Porto Franco. 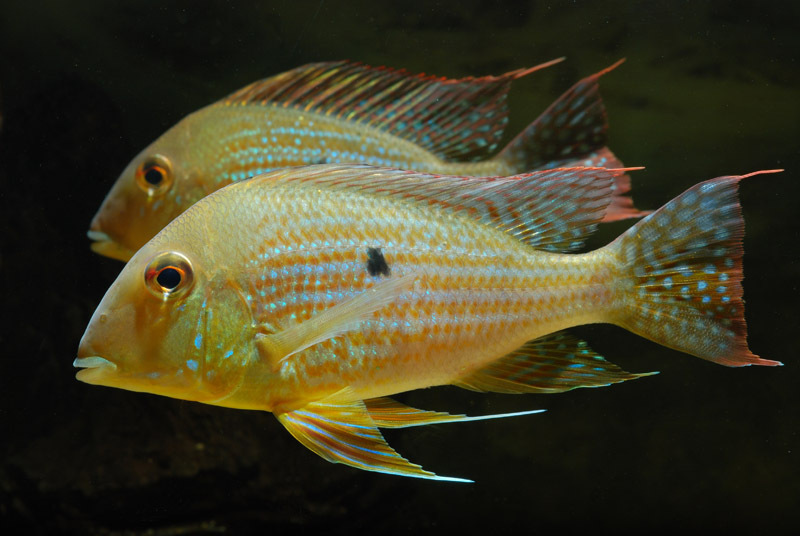 neambi: a patronym for the Núcleo de Estudos Ambientais (NEAMB), Universidade Federal do Tocantins ‘ in recognition of its efforts in studying the rio Tocantins ichthyofauna’. Type locality is ‘Lajeado Hydroelectric Reservoir, Porto Nacional, Tocantins, Rio Tocantins, Brazil, 10°41’36″S, 48°24’52″W’ but the species has been recorded at various localities within the mid-to-upper rio Tocantins, to which it may be endemic. 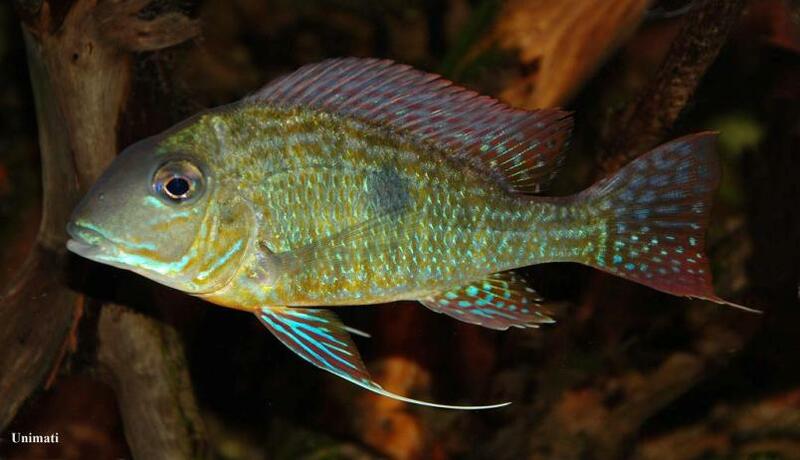 It’s apparently collected for the aquarium trade in the rio Das Mortes basin near the municipality of Nova Xavantina, Mato Grosso state. 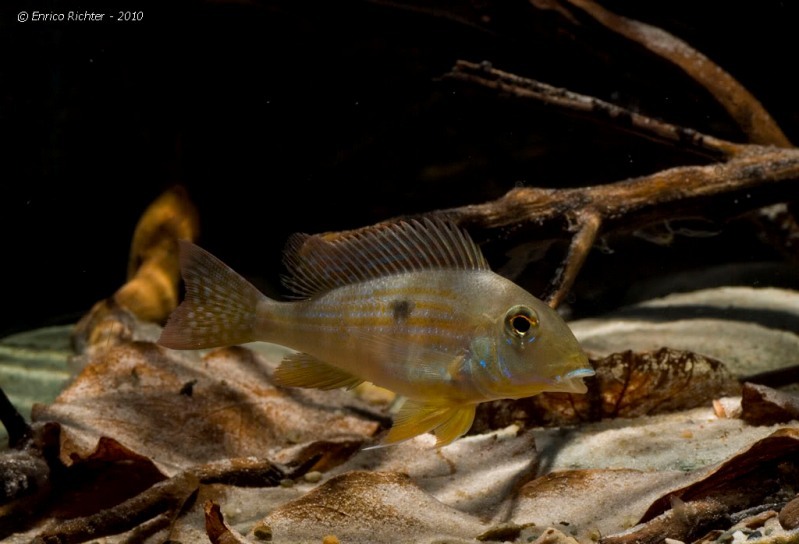 Favoured habitats are likely similar to those observed in related species with the fish congregating around gently sloping marginal zones with soft substrates of bare sand or mud near shores or islands. In a study of sand bank-dwelling fishes’ feeding habits conducted in the rio Tocantins drainage and published in 2007 G. neambi, then identified as G. altifrons, was recorded alongside a number of species including Colomesus asellus, Acnodon normani, Creagrutus britskii, Exodon paradoxus, Tetragonopterus argenteus, Triportheus trifurcatus, Pimelodus blochii, Pimelodella cristata and Satanoperca jurupari plus various members of Moenkhausia, Hemigrammus, Hyphessobrycon and Knodus. 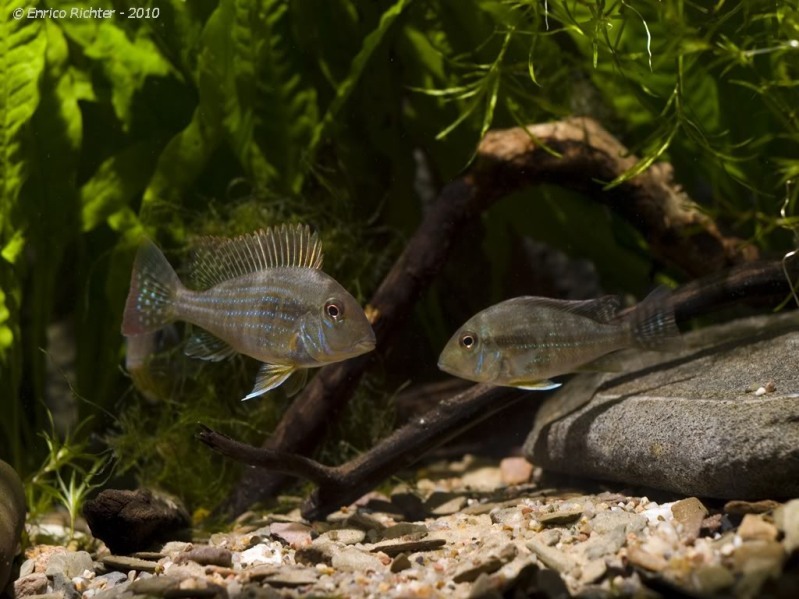 A aquarium with a base measuring 180 ∗ 60 cm or more is required. 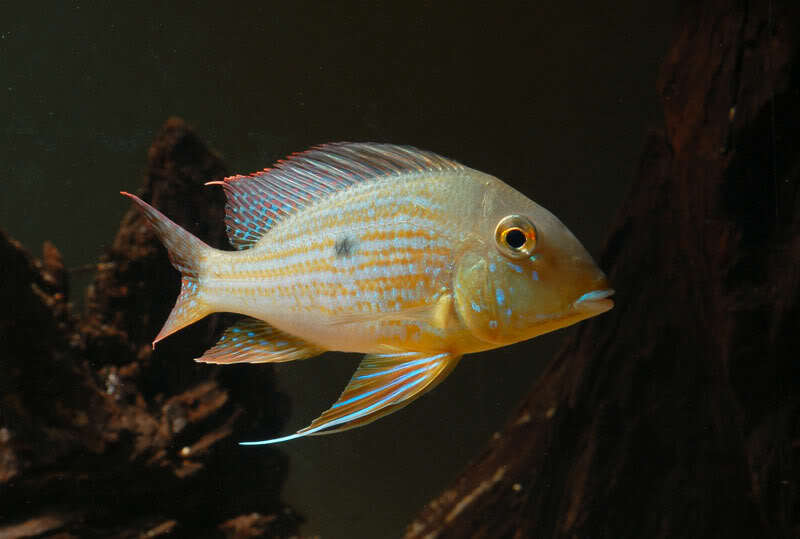 G. neambi is gregarious and tends to exist in loose aggregations unless spawning, with juveniles in particular displaying strong grouping instincts. 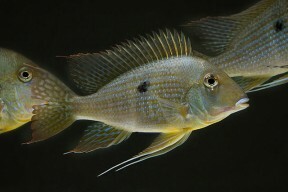 Substrate-spawning, ovophilous, biparental mouthbrooder that has been bred on numerous occasions in aquaria. The parents may participate in mouthbrooding duties simultaneously or by exchanging the entire brood on a more-or-less daily basis, the transfer normally occurring in a sheltered location such as a depression in the substrate. 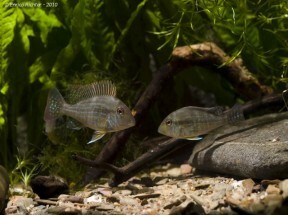 This species was available in the hobby several years prior to being described, invariably traded as G. sp. aff. 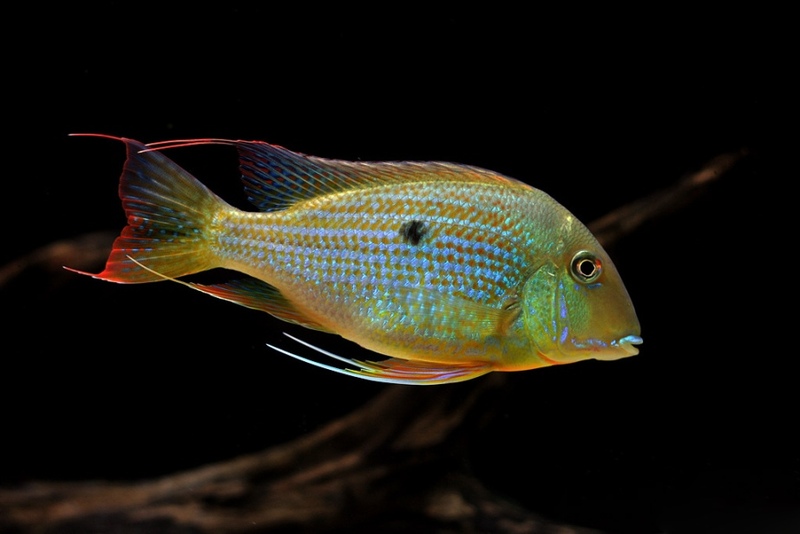 altifrons ‘Tocantins’, G. sp. ‘Tocantins’ or G. sp. ‘rio Areoes’. The latter of these names refers to an Indian reserve named ‘Areões’ in the rio Das Mortes drainage, a tributary of the Araguaia which itself drains into the Tocantins, and the aquarium specimens in our images have been identified as G. neambi by Dr. Paulo Lucinda, co-describer of the species. It’s a member of the putative G. surinamensis ‘group’ of closely-related species within the genus and can be identified by a combination of characters including: no dark preopercular or infraorbital markings; 8-9 vertical/parallel bars on each flank (normally visible only when the fish are stressed, spawning or preserved); dark lateral spot positioned within the third vertical bar; bar containing dark mid-lateral spot bifurcate above and below spot and bars posterior to this also bifurcate or almost so; caudal-fin brownish red with blue iridescent spots sometimes merging to form vertical bars.